A consortium of Kiepe Electric, Heiterblick and Alstom have received an order for an additional seven TW 3000 light rail vehicles (LRVs) from Hannover public transport authority Üstra. 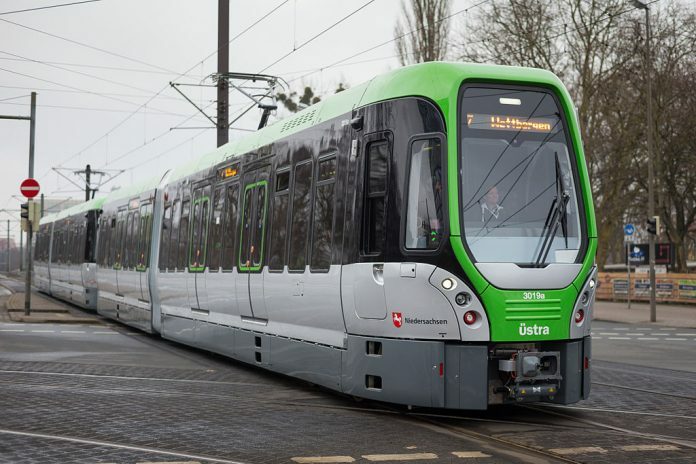 The deal takes the number of new TW 3000 trams to be supplied up to 153. Currently, 72 TW 3000 have been delivered and are in use and 146 will be in use by the end of 2019. The seven new trams will enter service as soon as they are available. In the long-term, the TW 3000 is to replace the oldest TW 6000 light rail model, which is 30 years-old. The order has been made possible thanks to a subsidy from Lower Saxony public transport authority Landesverkehrsverkehrsgesellschaft (LNVG) to the amount of 50 per cent of the €19.4 million purchase price. As consortium lead, Kiepe Electric is responsible for the electrical equipment; Heiterblick for the mechanical components; and Alstom for final assembly and commissioning at its Lower Saxony plant.